We made it! The journey to our new island began with a nervous wait for a weather window to leave our previous island, the Calf of Man, which was a sad moment . It was also filled with excitement of what lay ahead on the new island - Skomer! 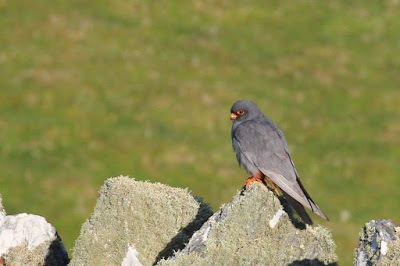 As it is often the case on islands at this time of year, we were at the mercy of the weather again, which is one of the many appeals of island life - being connected to the natural world and day to day weather changes. 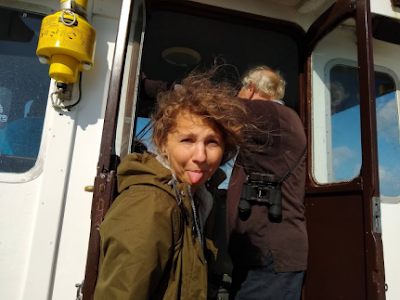 Northerly winds meant we could not sail to Skomer on our planned day, which resulted in us staying on the mainland for 3 days. 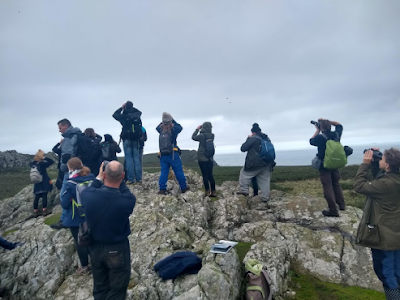 This gave us a chance to see a bit of the lovely Pembrokeshire and also meet some of the people associated with Skomer. We were very generously welcomed into their home by Anna and Steve Sutcliffe, it was fantastic to hear stories from their experience as Wardens from 1986 to 1994. 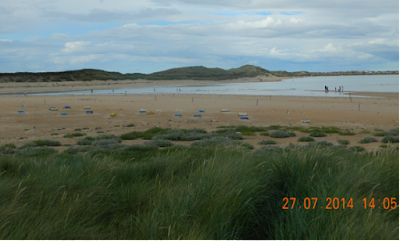 They showed us some picturesque places such as Marloes Sands. 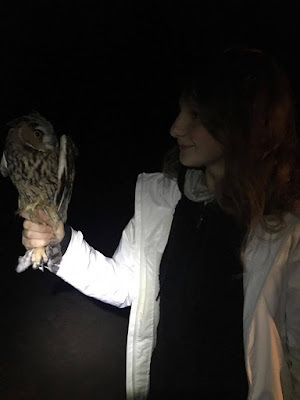 We were even able to assist Anna with her bat surveys. We have also had enough time to try food and cakes in some of the local places like Dale, explored the countryside on the bicycles and went bird watching (obviously!). Pembrokeshire is absolutely sensational! The day of our arrival was very nice and warm, which made the travel easier and much more enjoyable! It was lovely to meet some of the Dale Sailing crew. Nathan Wilkie - My home town is Dover, where some of you may have passed through when getting the ferry to France. Before moving to Skomer I was on a similarly sized island called the Calf of Man. I thoroughly enjoyed my role as Estate Warden on the fantastic island. Like Skomer, the Calf is an important island for seabirds, although there are not quite as many Manx Shearwaters - the 316,000 pairs here is quite a change from approximately 400 pairs on the Calf! The estimated 400 pairs on the Calf is a conservation success story however, with the species, that was named due to the colony on this small island off the coast of the Isle of Man, now recovering following a rat eradication in the winter of 2011/12. 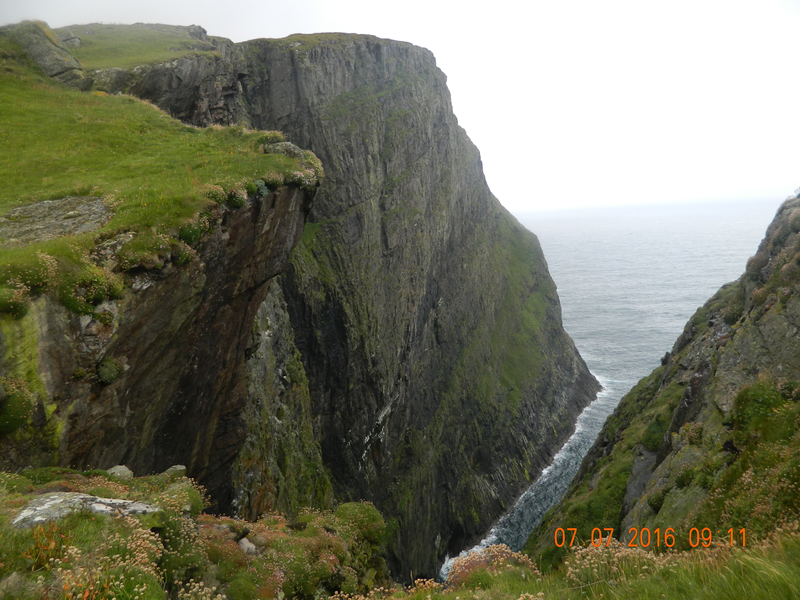 The Calf is also an important island for migrant birds and is home to a bird observatory, I was lucky to see and ring some fantastic birds. My highlight species include: Red-footed Falcon, Melodious Warbler, Sub-alpine Warbler, Greenish Warbler, Yellow-browed Warbler, Hen Harrier, Kestrel, Sparrowhawk, Cuckoo, Red-breasted Flycatcher, Hooded Crow, Chough... Ok I will stop listing now! I have also been lucky to work on the Farne Islands and Mingulay Island in the Outer Hebrides - I like islands! Like Skomer these are also spectacular islands that are very important to seabirds and Grey Seals. 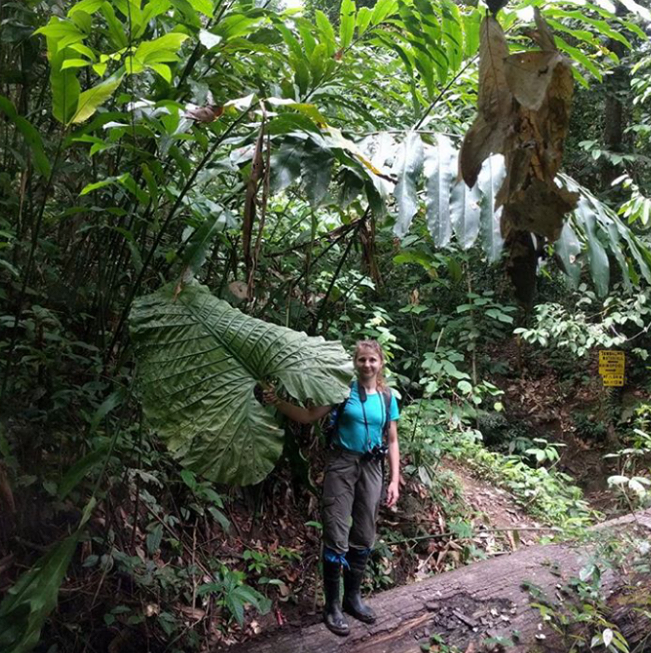 I have also lead research projects on butterflies in Indonesia, Madagascar and Romania - I like rain-forests, wildflower meadows and butterflies too! Excluding a very short term contract as an Assistant Ecological Consultant, monitoring Great Crested Newts and bats, my first paid job was protecting Little Terns, on a Northumberland beach called the Long Nanny. The UK's second rarest seabird needs protecting from a wide array of threats, such as: Badgers, Foxes, Stoats, Kestrels, Crows, human and dog disturbance and the tide. This was a very rewarding job, with a recently unheard of 45 chicks fledged - I like Little Terns! As is often the case in this career I have also done lots of volunteering, which includes a combined 13 months of residential volunteering at RSPB Minsmere and Saltholme, which I thoroughly enjoyed and gained a lot from. Oh and I also studied Geography at Portsmouth University. Ok that's probably enough about me! You'll just have to come and visit Skomer if you want to find out more! 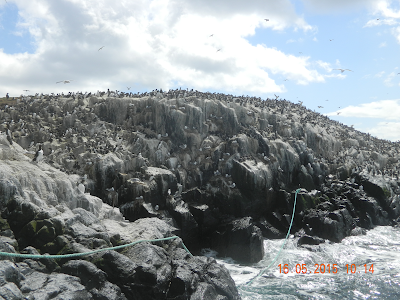 The Farne Islands has a few birds too! Sylwia Zbijewska - I come from Poland and that is where I grew up and went to school. I moved to the UK in 2009 to initially earn some money over summer and then to go back to study journalism in a city called Wroclaw. Plans have only slightly changed and it's been 9 years since! 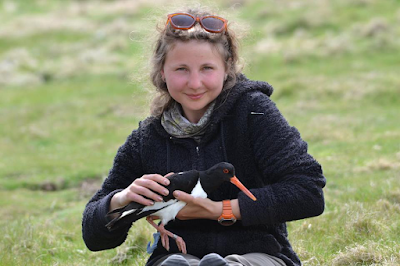 I studied at Manchester Metropolitan University between 2010 and 2016 where I got a foundation degree in Geography, degree in Wildlife Biology and a master's degree in Conservation Biology. 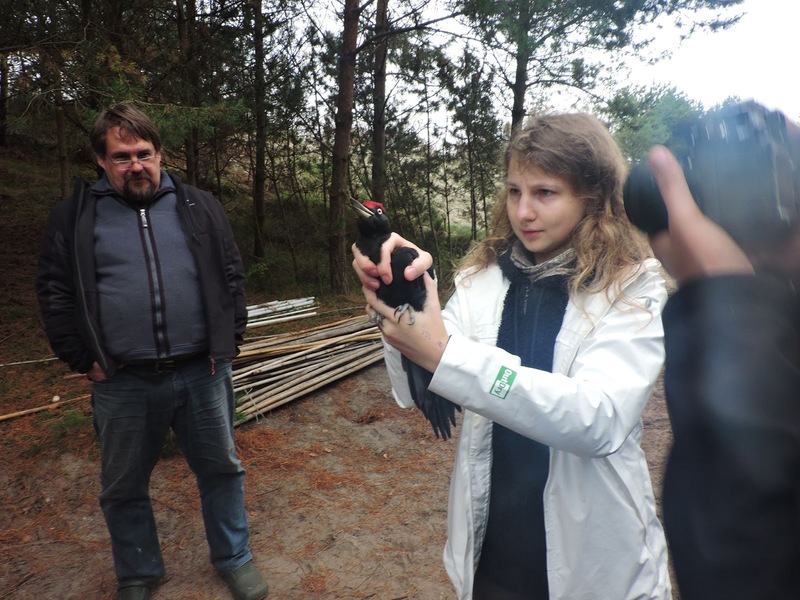 During my studies, I carried out some very interesting field projects on invertebrates, butterflies, dung beetles and birds in Caer Llan, Lisbon, Bialowieza Forest, Cheshire and a lab based project on bumblebees. I have also worked full time in various non-related to my interests jobs to make a living. After completing my higher education, I was offered the Image Analyst position at aquatic environmental consultancy APEM in Stockport. I will miss the ornithology team and our daily lunch walks and Friday pub evenings. I have been a ringer since October 2016 (South Manchester Ringing Group). However, this year I mostly ringed on the Calf of Man, where I volunteered as an assistant warden. Calf of Man has a special place in my heart. I genuinely love that island for its beauty and charm. I love its landscapes, wildlife and bird migration. COM is also the island where I met fabulous people and made some lifelong friendships! I have also worked as a research assistant mist-netting in Danum Valley – Borneo and volunteered at one of the UG's Bird Migration Research Stations for the Operation Baltic project (Gdansk, Poland) in October 2017. Being close to nature is what empowers me. Being able to work, care for the natural world, share the knowledge about wildlife with others and learn from them is what brings me joy. People and nature are my source of inspiration. ''Doing what you like is freedom. Liking what you do is happiness''. The world is changing now and we need to use all our power to continue to protect nature, resources and live our lives respecting each other and our home Earth. 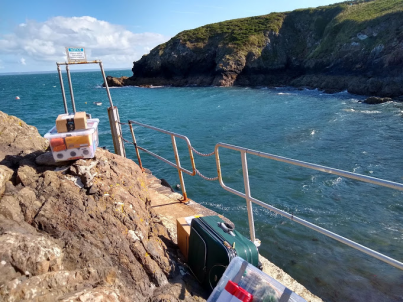 Our First 2 Weeks on Skomer - The team has really welcomed us and made us feel at home already. 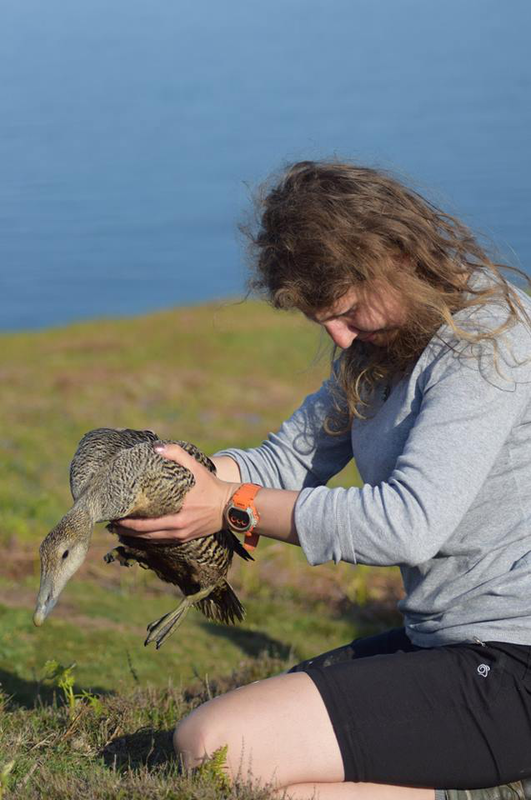 We are especially grateful to Bee and Ed for staying on Skomer until the end of the season so that they can pass on as much knowledge as they can from what they have learnt during 6 years of essentially living and working here. 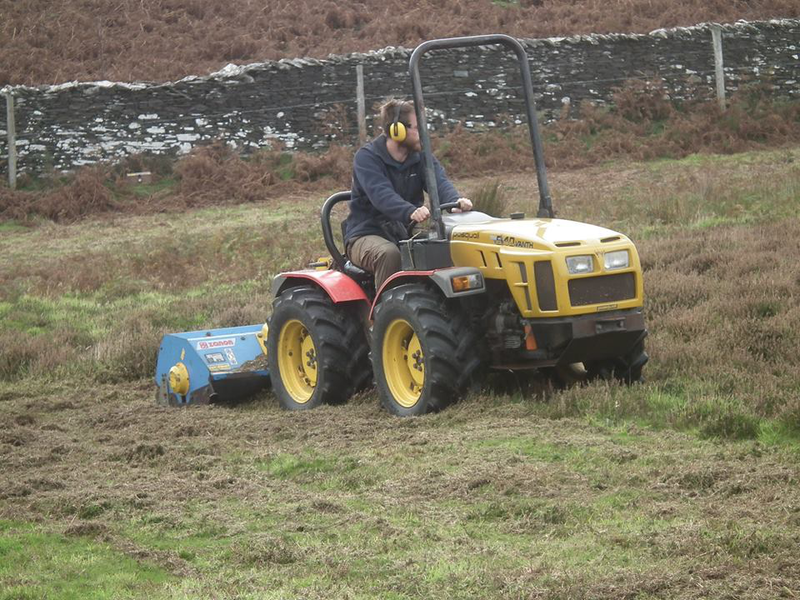 We have been spending time familiarising ourselves with the island and some of the tasks that are undertaken on Skomer. 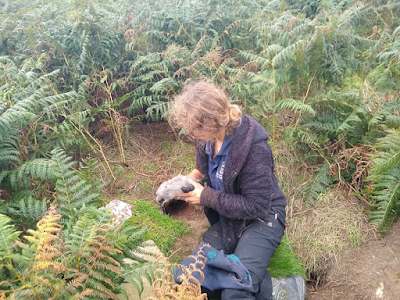 One of our most memorable experiences so far has to be assisting Martyna and Joe from OxNav with their research on Manx Shearwaters and their migration, which entailed following the direction the chicks fly the very first moment they fledge! 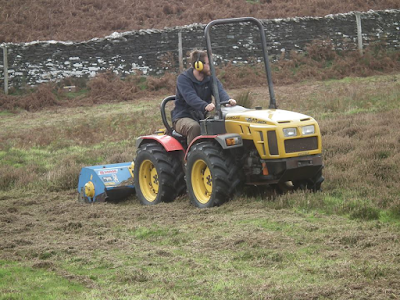 It has also been great to meet some of the Weekly Volunteers who regularly volunteer on Skomer. Another highlight is the first meal we shared with the entire team at the Farm and delicious meals we have shared with Ed and Bee in the Warden's house, particularly southern German dish called Spaetzle - We like trying new things! What is more, Skomer has already spoilt us with excellent views of Bonelli's Warbler!